My officemates and I are turning our huge window and its sill into a greenhouse. In addition to some cactii, which are meant only as houseplants in New England, we brought in some of the spent container plants from our home porches back in October: fuchsia, geranium, sweet potato vine, and strawberries. 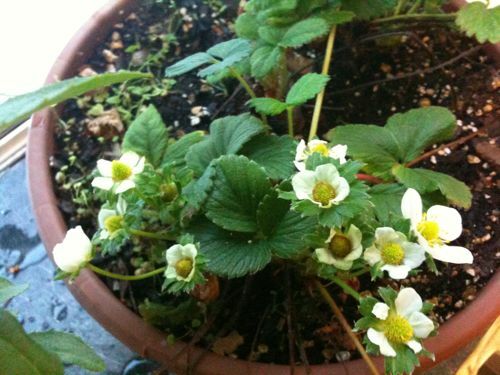 All are thriving, and there are strawberry buds. Will we soon have red berries in Room 12-111? Stay tuned. That’s cool. I never realized you could grow strawberries indoors.